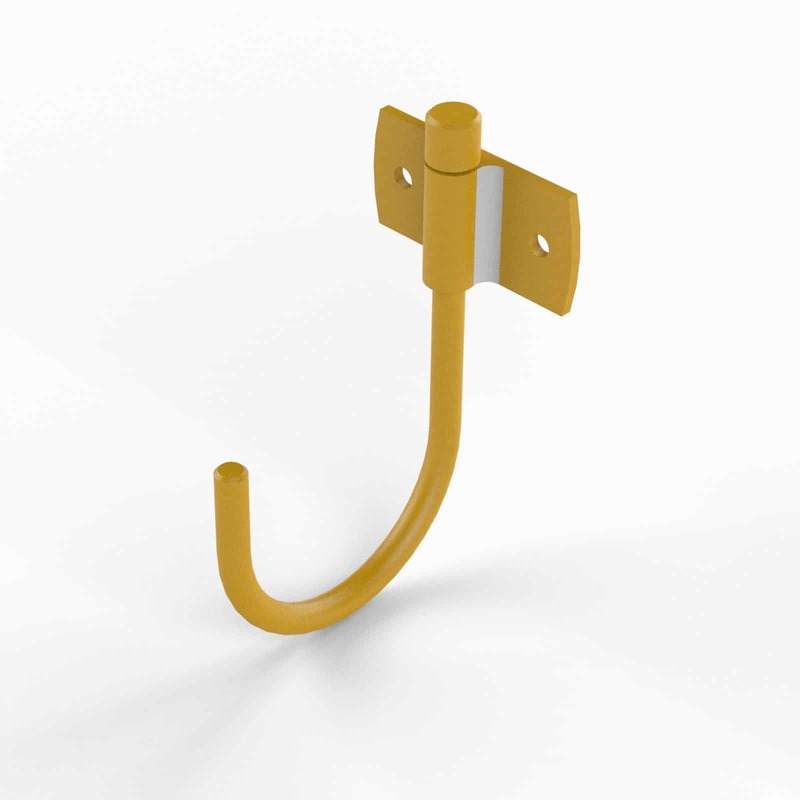 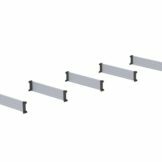 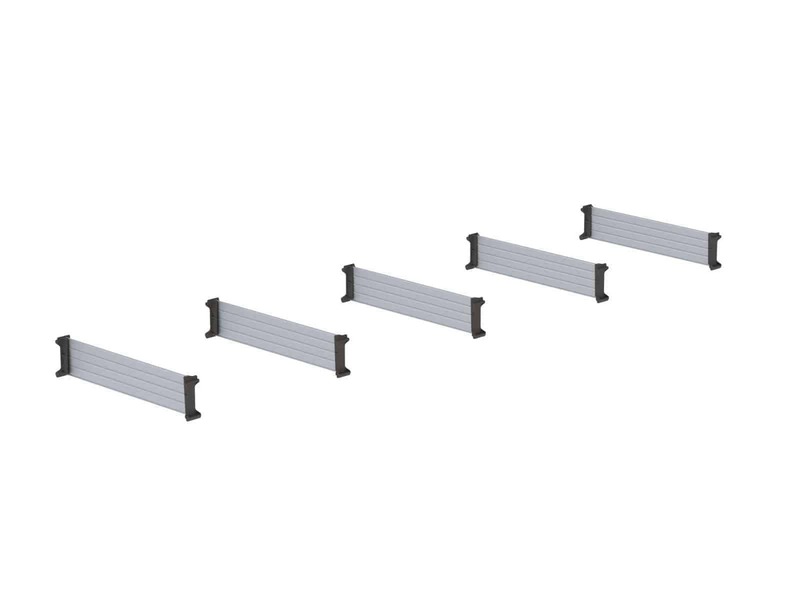 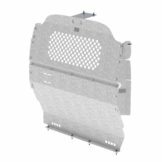 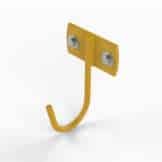 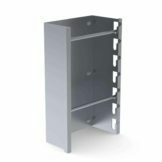 5 Slot paper holder for cargo vans, deep, 33/4"d X 123/4"w X 24"h.
Wire reel holder for work vans, includes two 5/8" diameter rods. 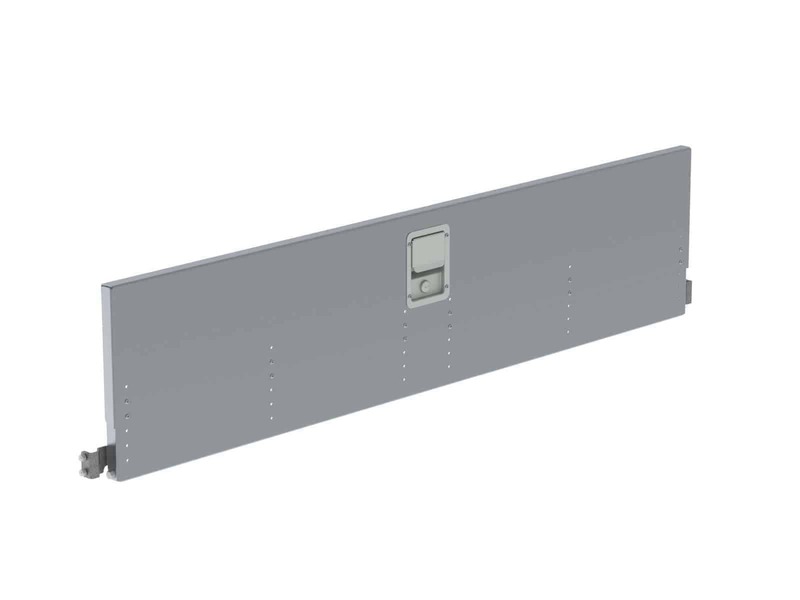 60" Adjustable and lockable aluminum shelving door (57" openings). 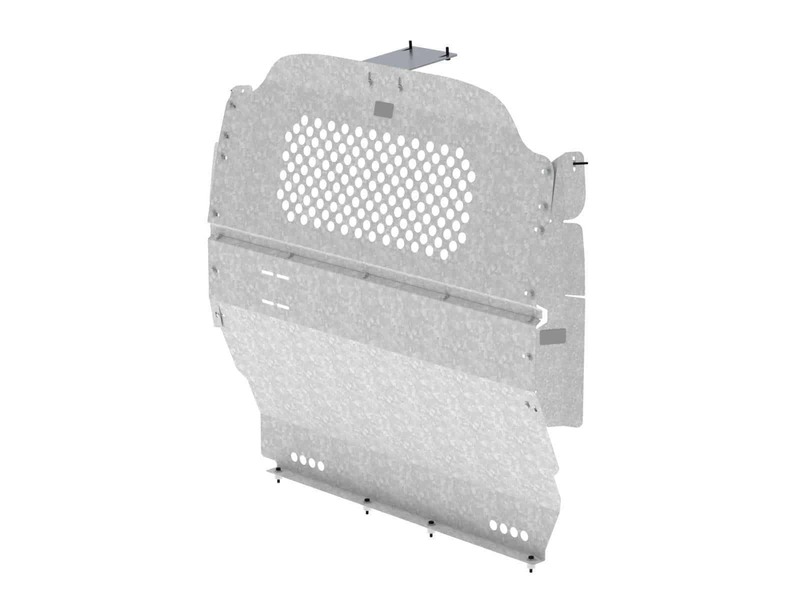 Contoured van partition with perforated window for a Nissan NV200. 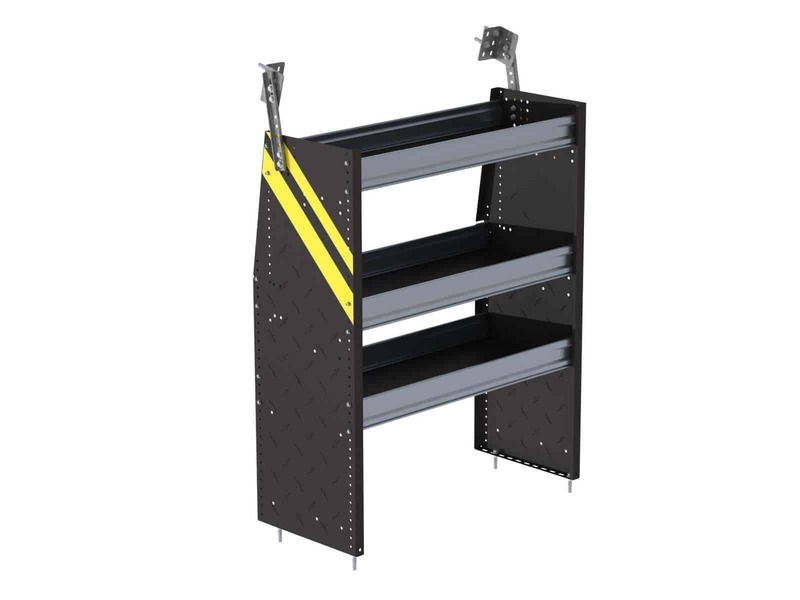 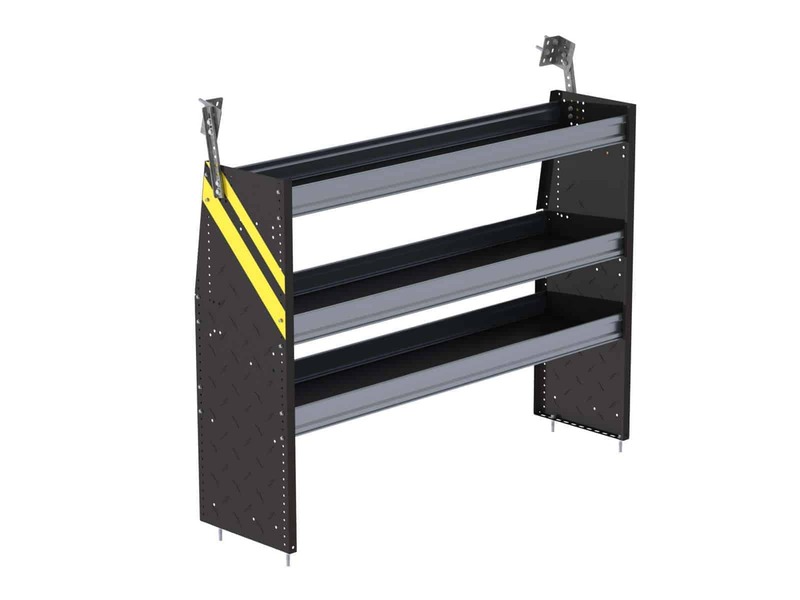 Steel Shelving Unit for Low Roof Van, 14" x 44.5" x 36". 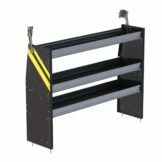 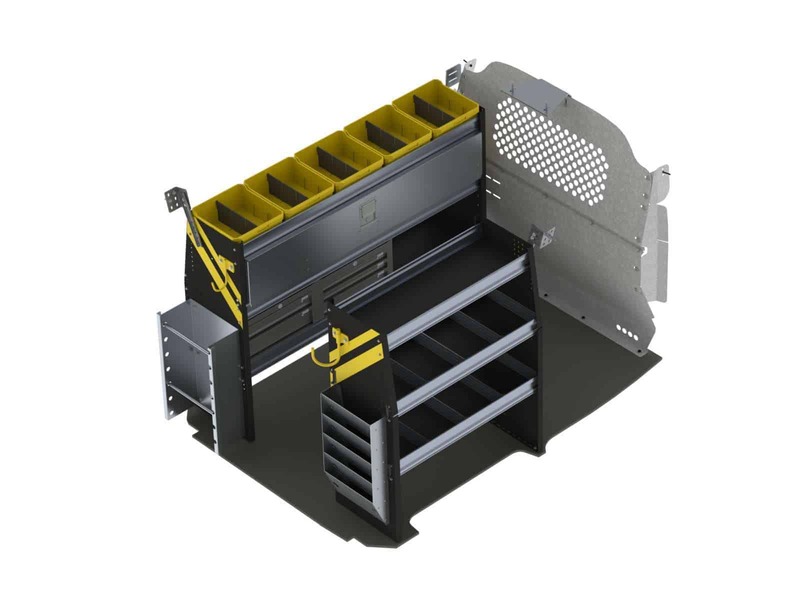 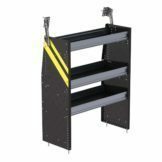 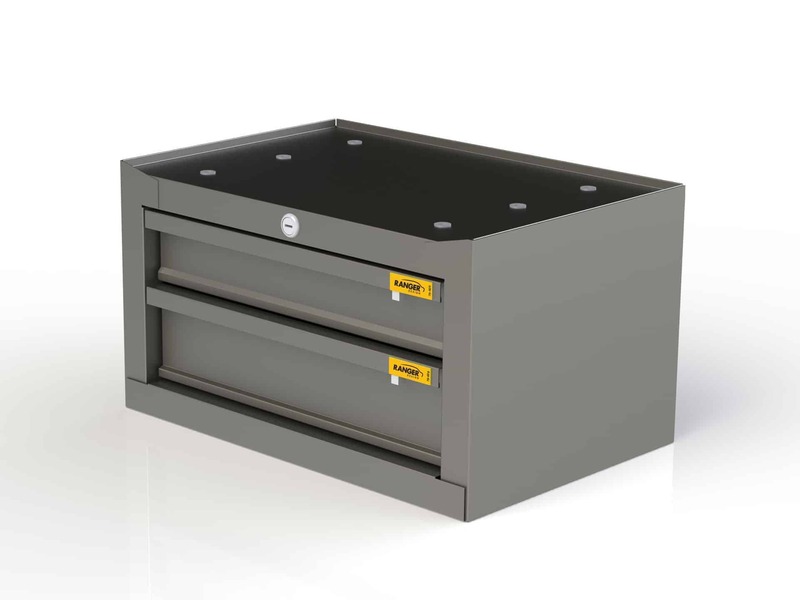 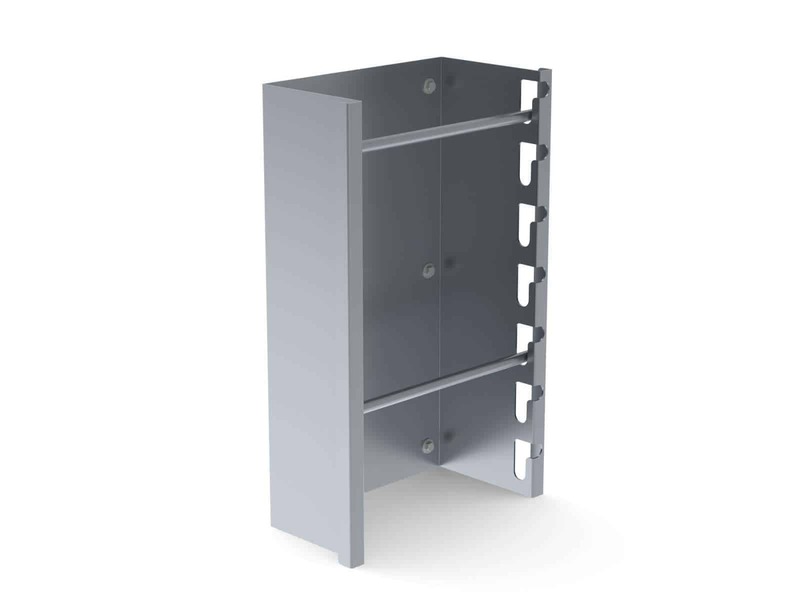 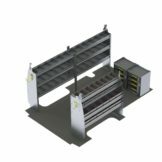 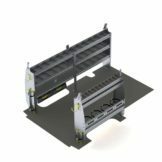 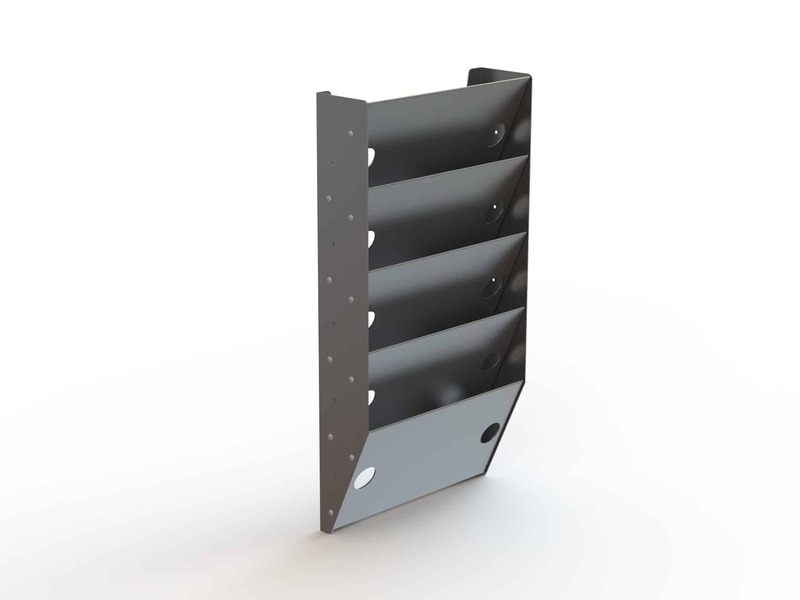 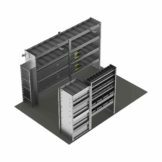 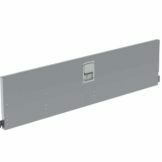 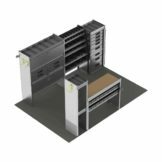 Steel Shelving Unit for Low Roof Van, 14" x 44.5" x 60". 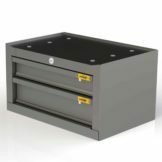 Steel van cabinet, compact, 2-drawer, Fleetline. 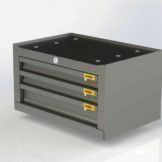 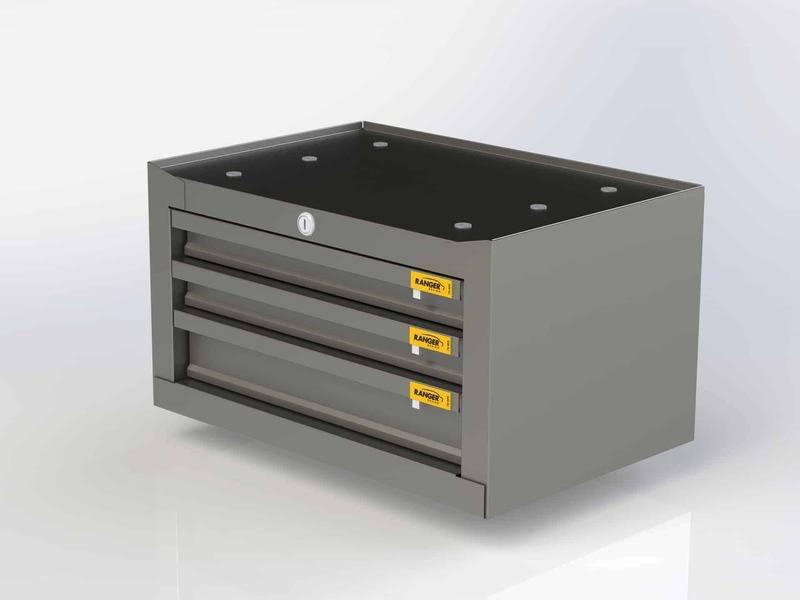 Steel van cabinet, compact, 3-drawer, Fleetline. 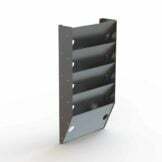 Set of 5 adjustable dividers for a 14" deep shelf. 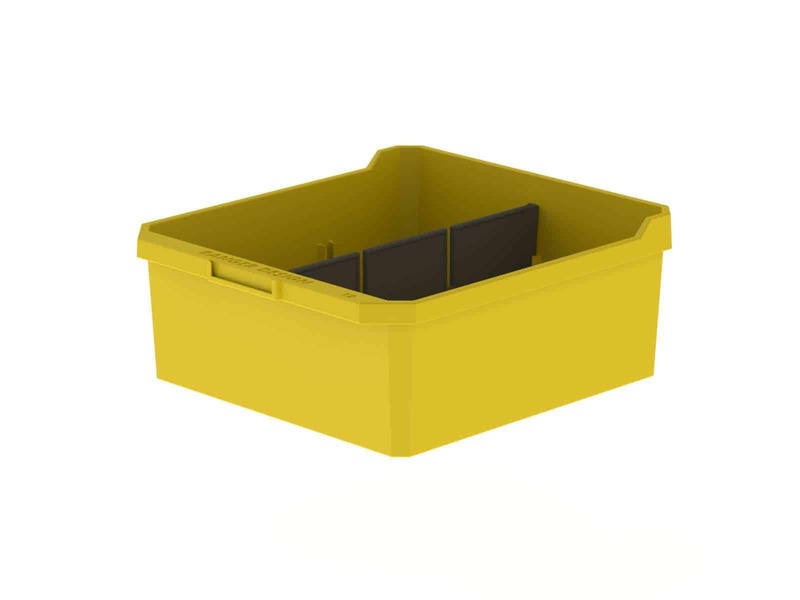 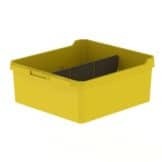 12" deep plastic bin with a center divider.